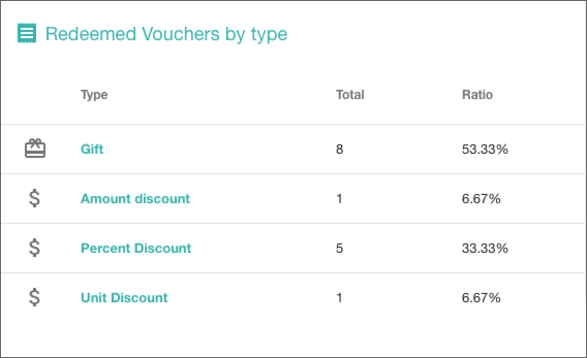 Voucherify gives you the ability to monitor promotional campaigns on many levels. 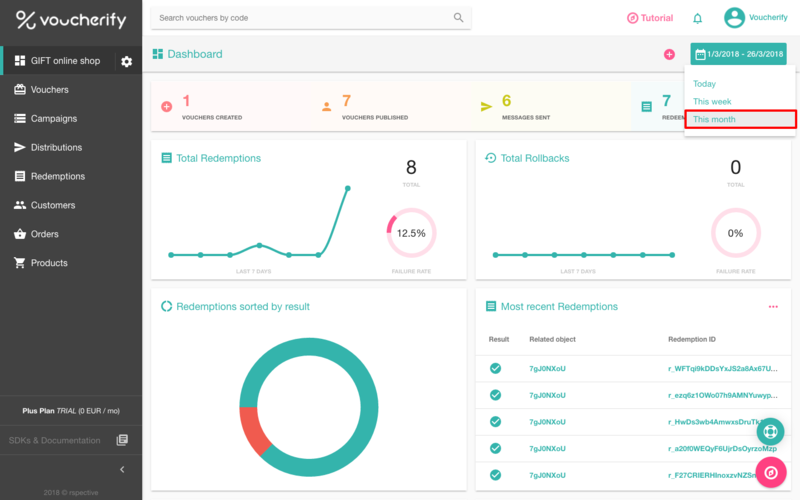 You can use the dashboard to grasp your promotion campaigns performance. 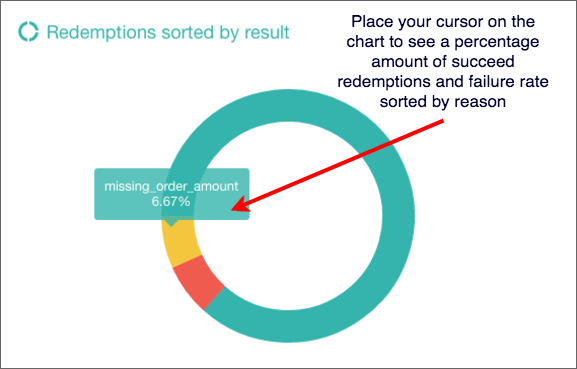 Check the total redemptions number and percentage failure rate. 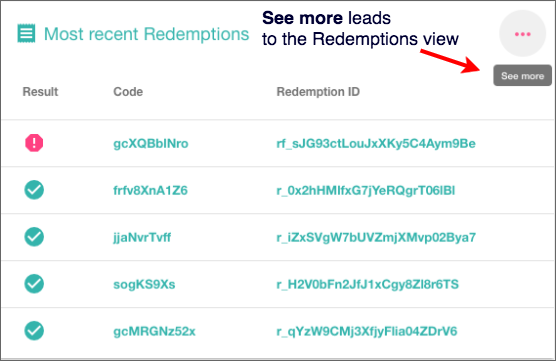 Be up-to-date with the most recent redemptions made in your store and their details. Keep your eye on current rates of successful and failed redemptions. You can follow gift cards spendings at a global level. 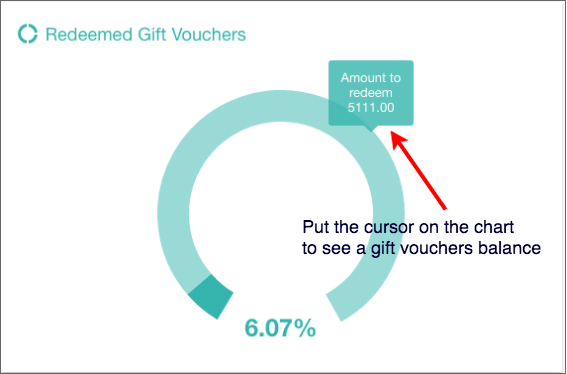 In this chart, you'll find a total amount to spend during your gift cards campaigns. Find out what type of promotions are the most desired and use it in building your future strategy.